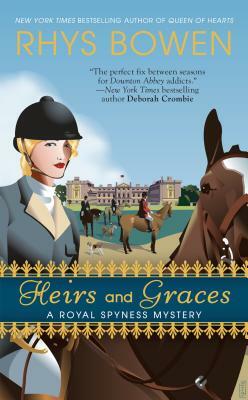 Lady Georgiana Rannoch learns that not everyone knows their table manners when a knife ends up in a duke’s back in the seventh Royal Spyness Mystery. London, 1934. Entrusted by Her Majesty the Queen with grooming Jack Altringham—the Duke of Eynsford’s newly discovered heir fresh from the Outback of Australia—for high society, Georgie now has the luxurious opportunity to live in one of England’s most gorgeous stately homes. But upon her arrival at Kingsdowne Place, Georgie finds herself in a manor full of miscreants, none of whom are pleased with the discovery of her new ward.